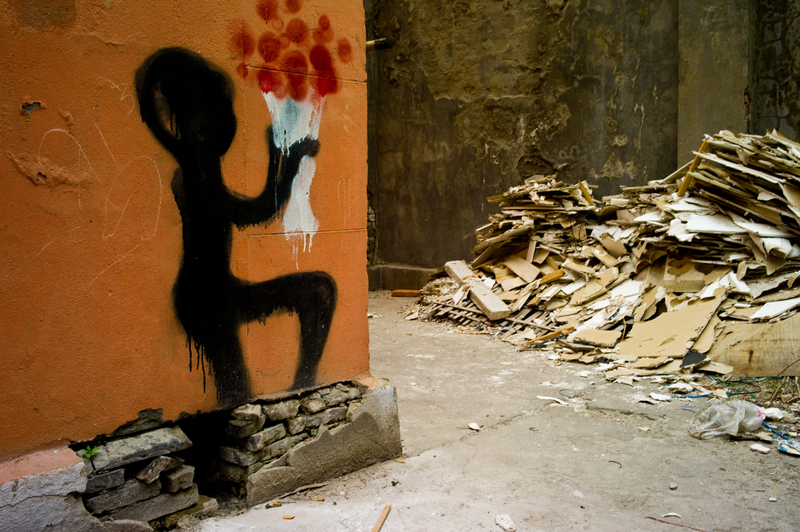 I amongst all that desolation and rubble was this beautiful piece of Street Art, I wonder who painted it and I wonder who it was for?> Well, I guess we will never know….Isn’t Street Photography the coolest thing to do?…I mage taken in close to Suzhou Creek, Puxi side of Shanghai. Absolutely! I’m always intrigued with the placement of graffiti. Is it opportunistic or strategic? Maybe it’s a bit of both. I agree,a bit of both… I think the clever stuff (with a real message and true meaning) is strategic.